Stephen Hawking’s has expressed his belief that there is no such thing as a conventional black hole, from which nothing can escape. In a paper released on 22 January, Hawking’s refuted the notion of an ‘event horizon’; an invisible boundary surrounding a black hole past which nothing can escape (a point of no return). He instead proposed an ‘apparent horizon’, which could only temporarily confine matter and energy before they were set free. The paper titled ‘Information preservation and weather forecasting for black holes’ attempts to address the black-hole firewall paradox, which has baffled physicists for two years. The paradox was discovered by Joseph Polchinski and his colleagues when they were speculating about what would happen to an astronaut that fell into a black hole. 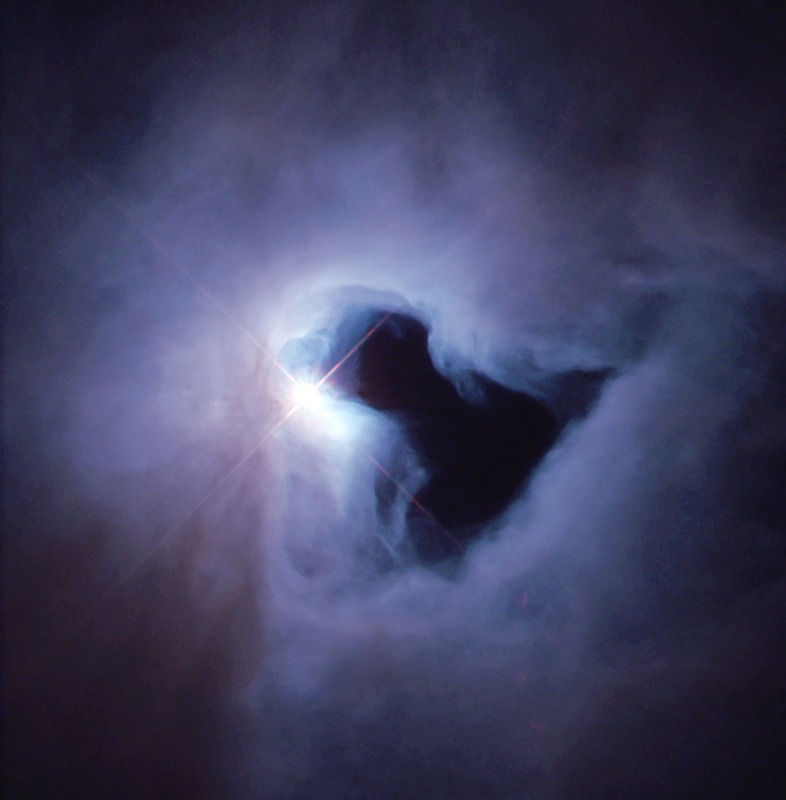 The team hypothesised that the event horizon would become a ‘highly energetic region’ a.k.a, a firewall and that the astronaut would collide with this firewall and burn to death. The problem is that this disobeyed Einstein’s theory of relativity, which states that free-falling in space is no different from floating in space. Since then a number of theories have surfaced to answer the problem but perhaps Hawking’s new paper draws us closer to finding out the fate of the falling astronaut. 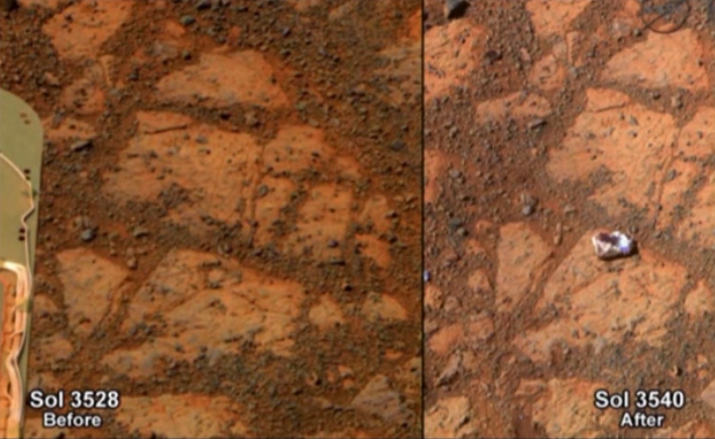 Where did the Mars “Jelly doughnut” rock come from? The Mars rover, Opportunity has discovered an unidentified rock on the surface of the Red Planet. The small rock is white with a deep red centre, giving it the appearance of a jelly-doughnut. Its appearance in an area where just 12-days earlier there was nothing, is baffling scientists. Investigators from the Mars Exploration Rover Program (MERP) estimate the date of its appearance to a four-day period. The principle investigator of MERP, Steve Squyres speculated that the rock might have been dislodged by the movements of the rover, however as he reminds us that is only speculation. What is interesting about the rock is that it appears to have been flipped over, thus revealing its underside. This provides experts with a rare view of a surface that has been isolated from Martian atmosphere for perhaps millions of years.